Armchair 400 a.k.a. 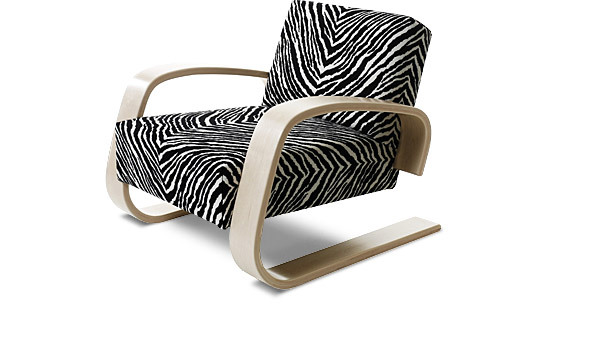 tank chair by Alvar Aalto / Artek. Armchair 400 a.k.a. tank chair. Frame: Birch, lacquered clear or black. Seat: Zig-zag springs, polyurethane foam and polyester wadding. Back: Polyurethane foam and polyester wadding. Seat/Back: Upholstered with fabric or leather. 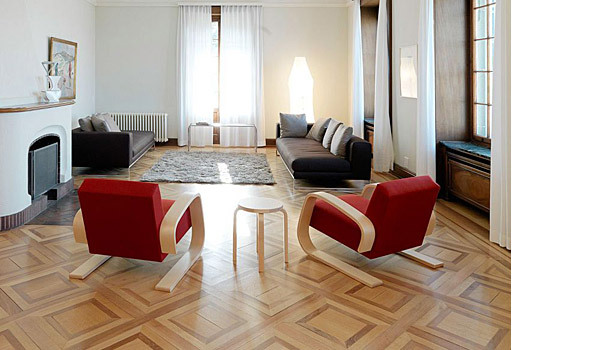 We have the armchair 400 to see in our showroom (by appointment). Delivery time approx. 4-6 weeks.